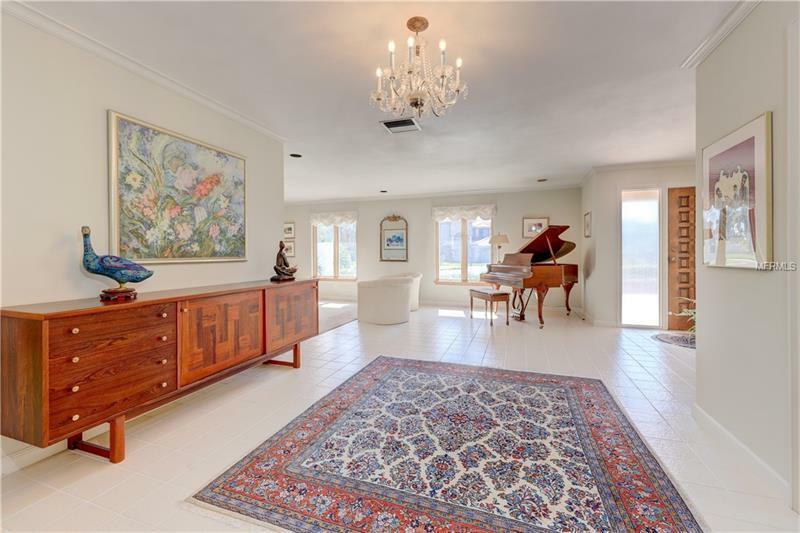 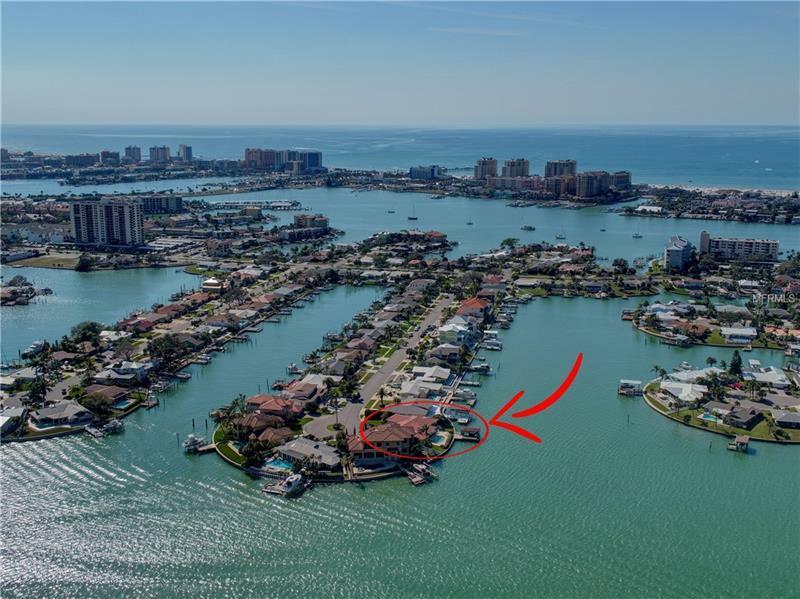 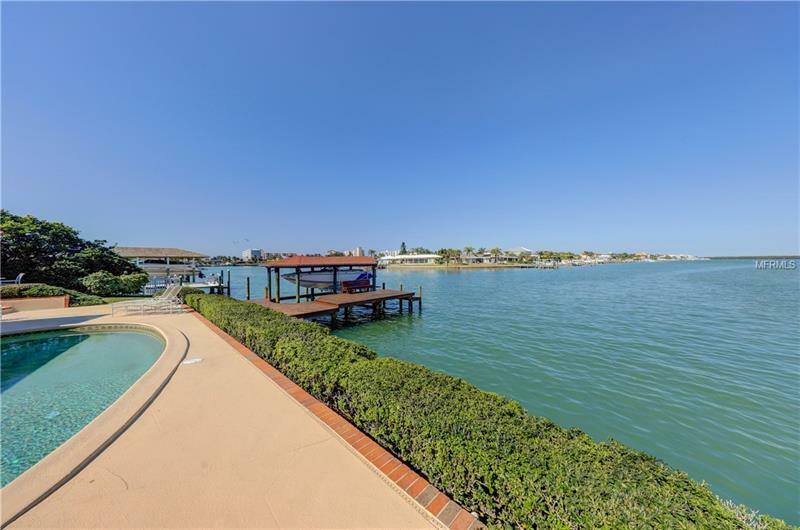 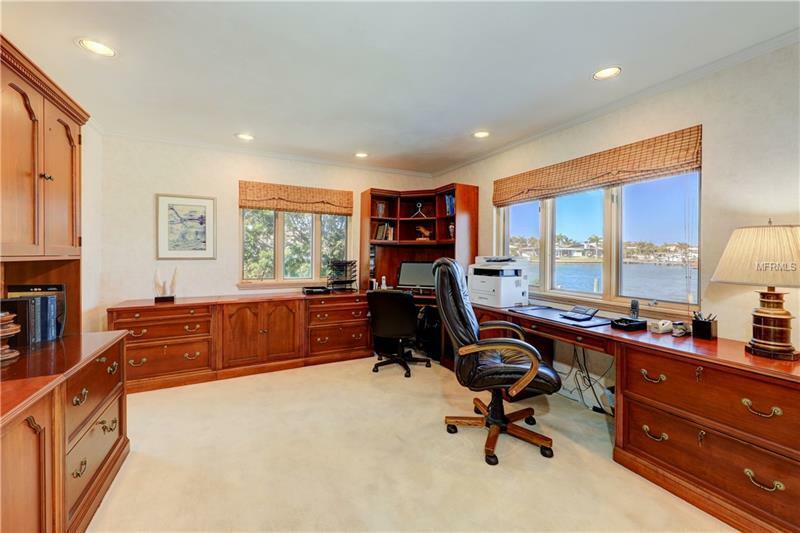 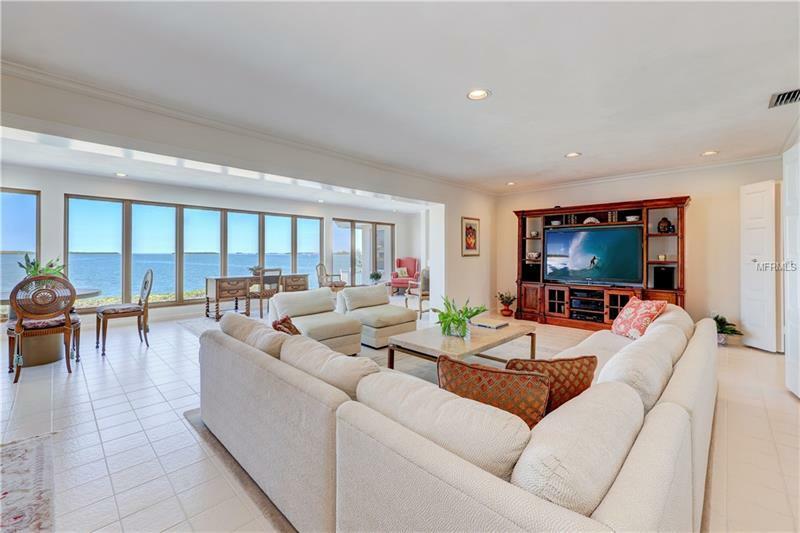 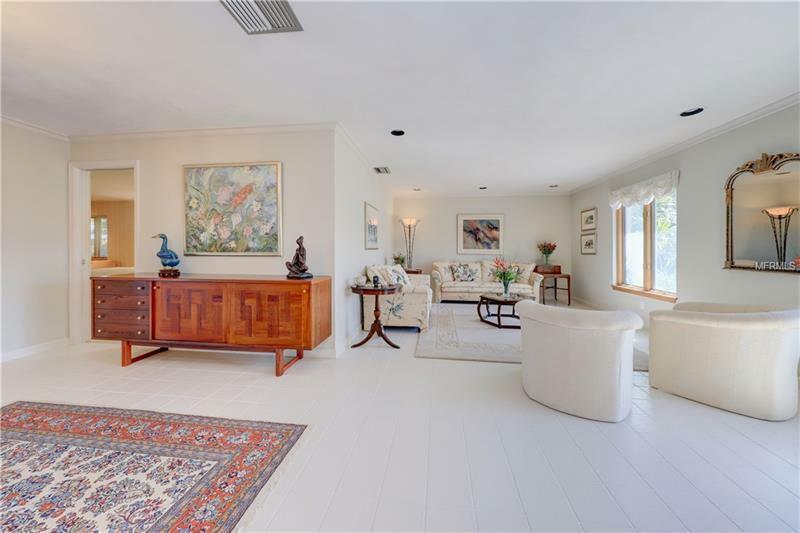 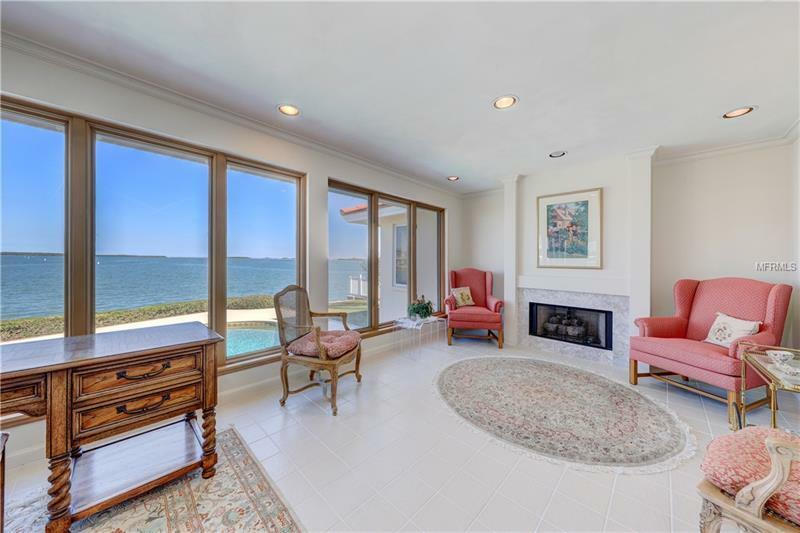 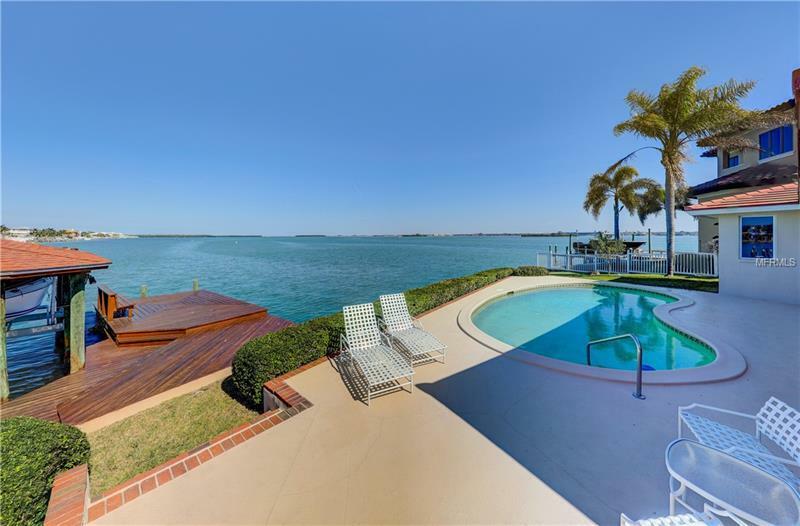 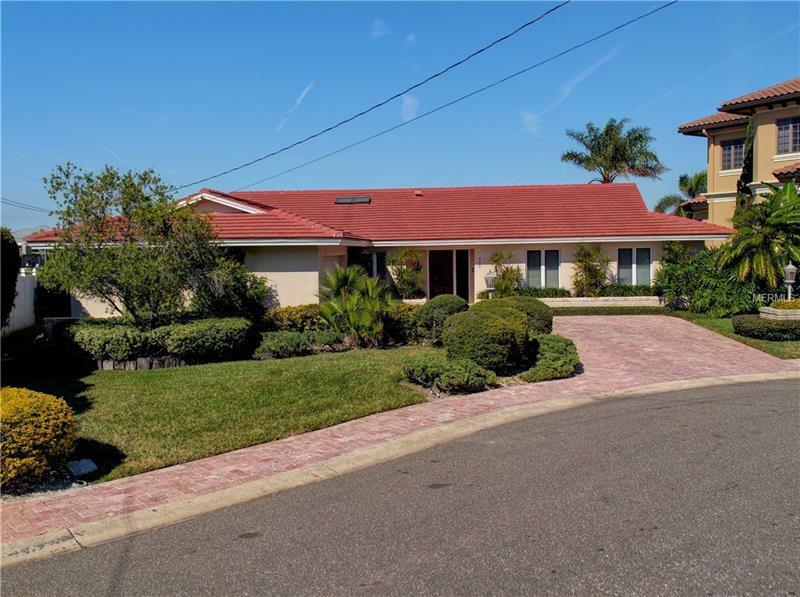 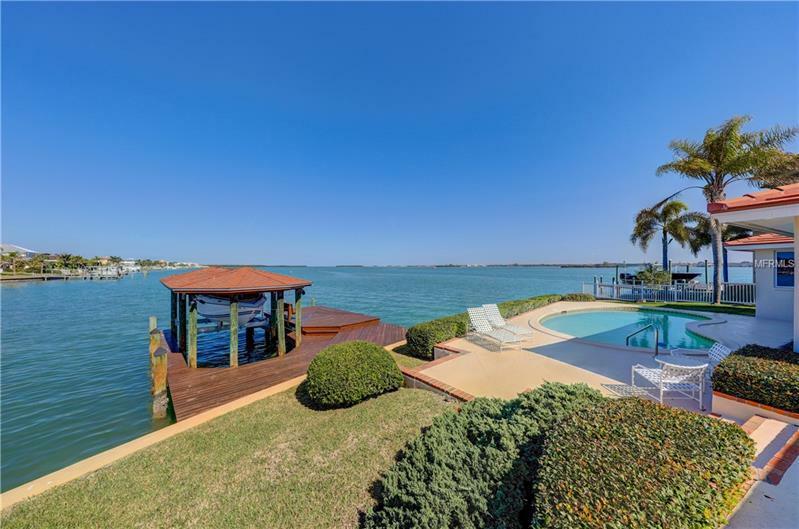 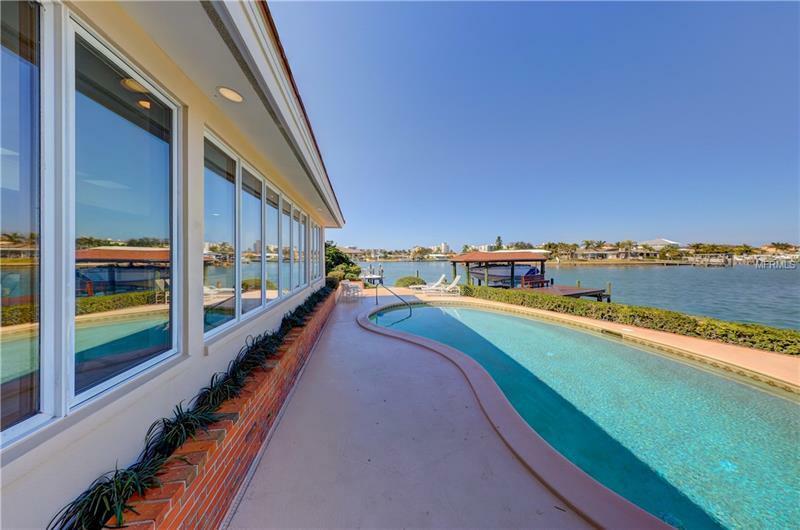 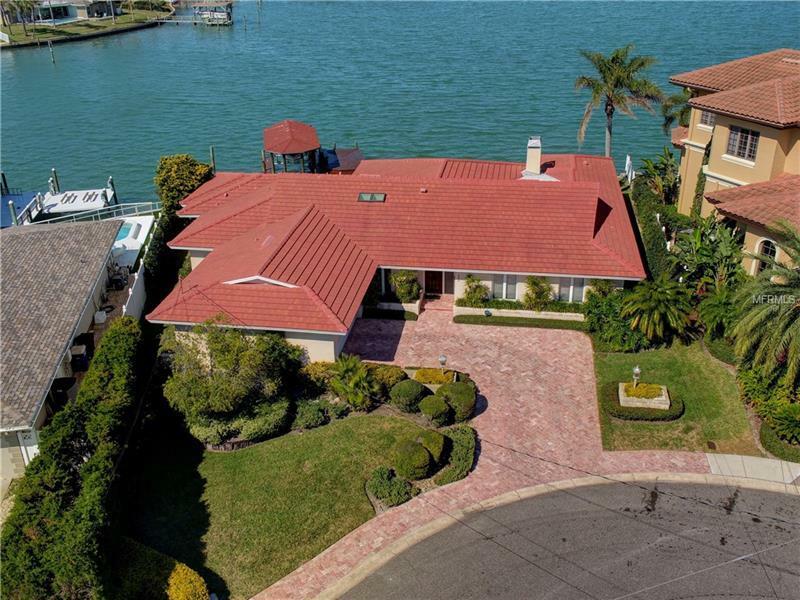 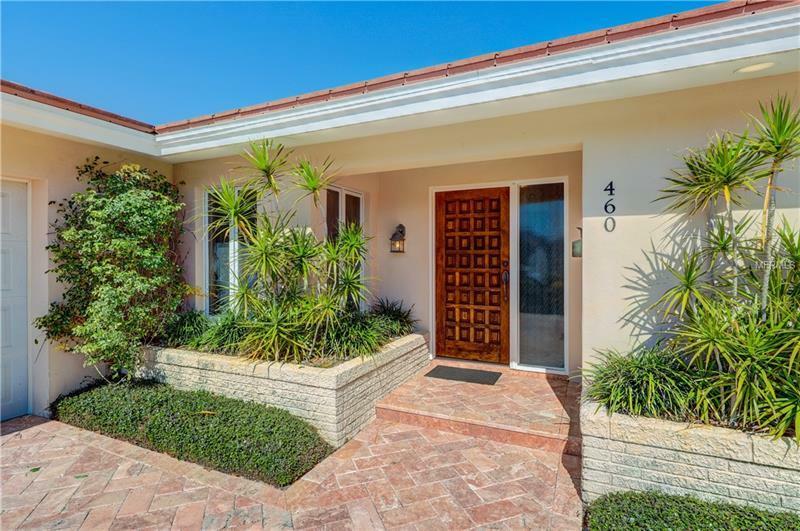 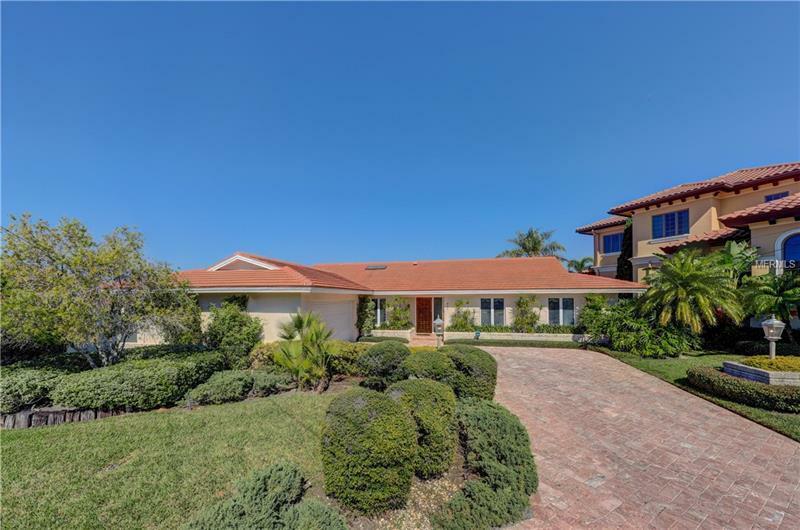 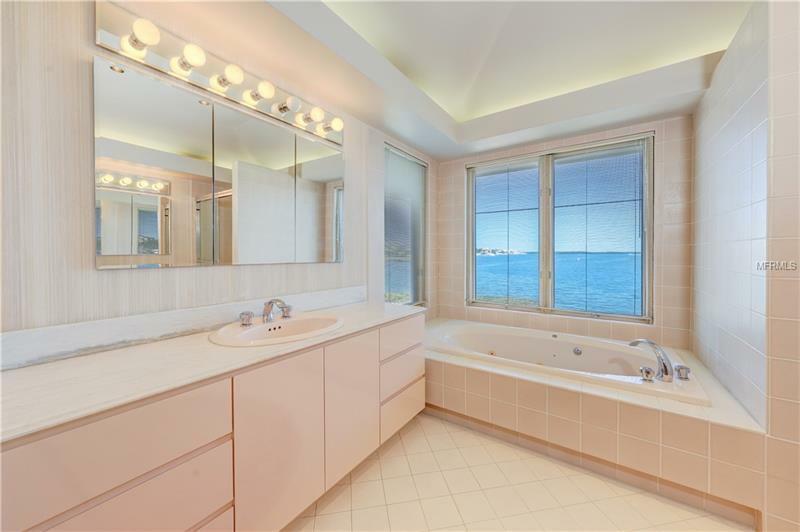 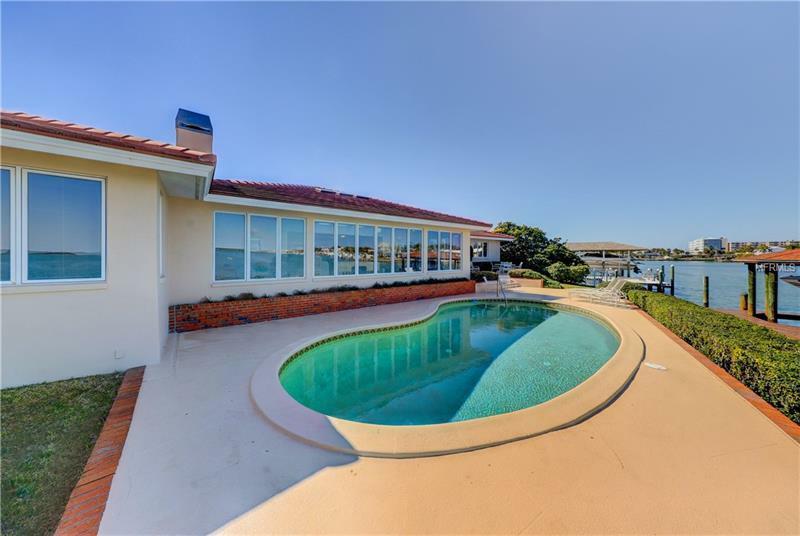 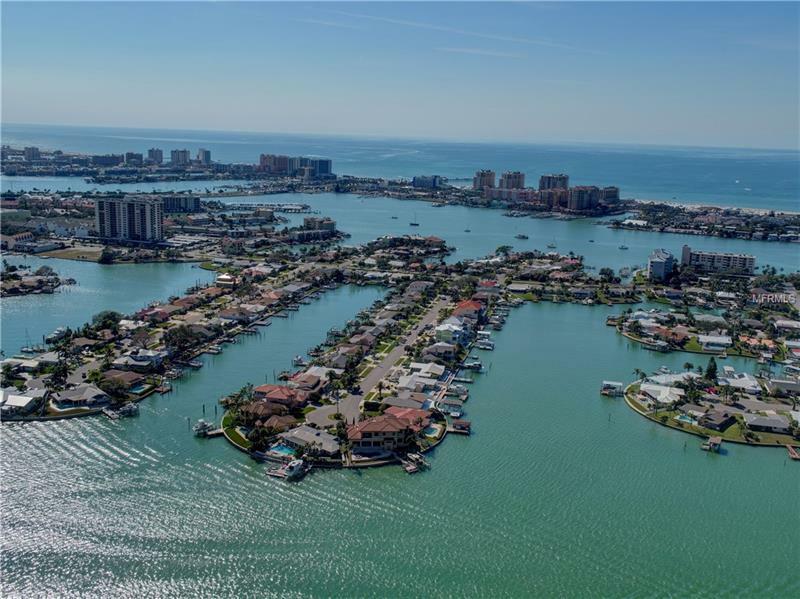 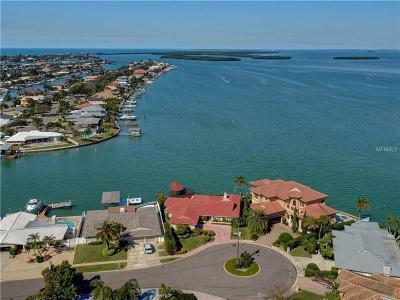 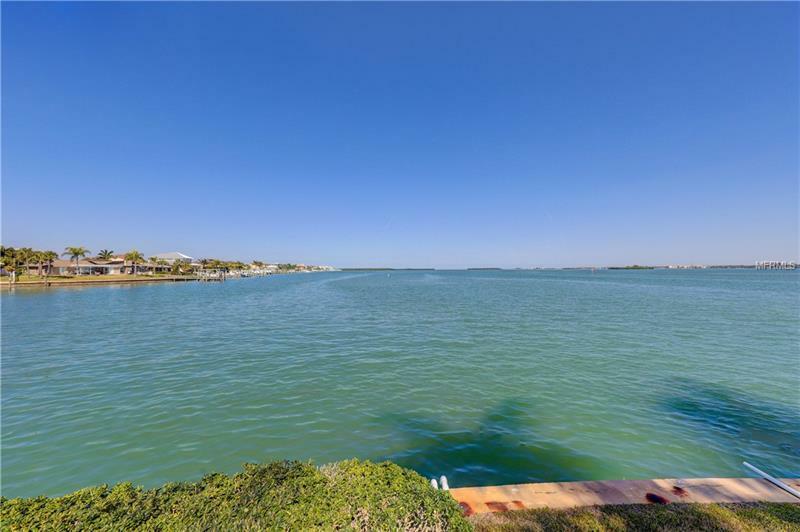 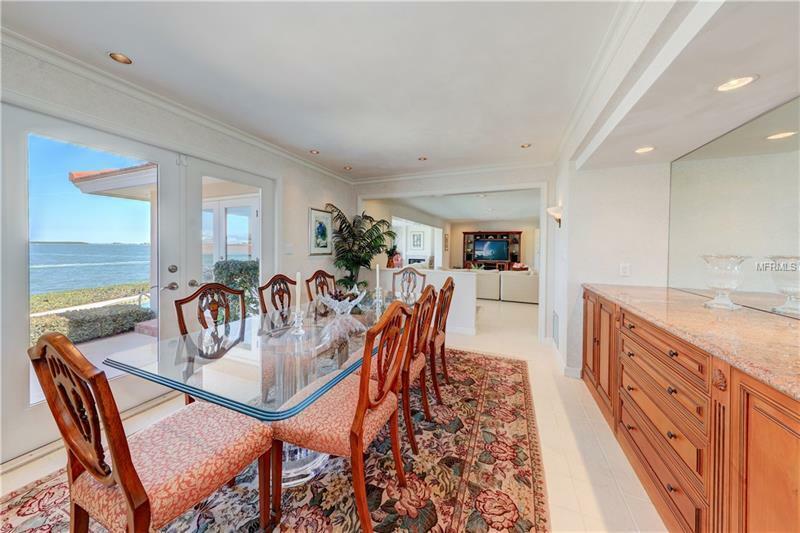 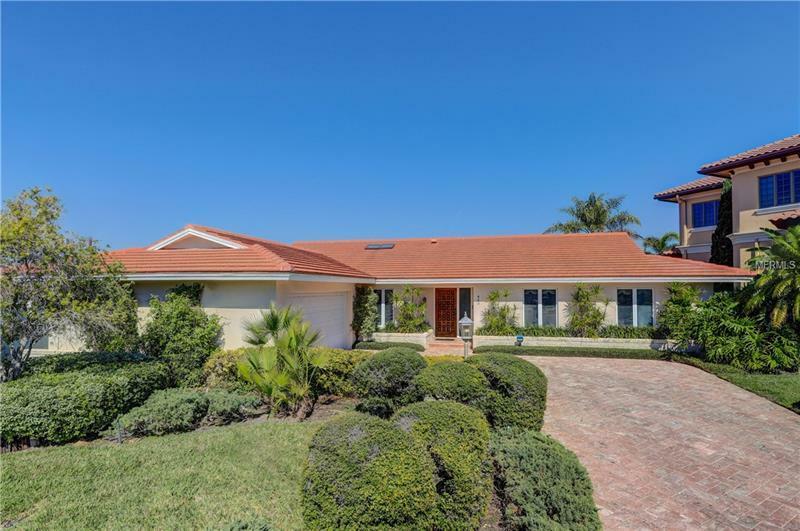 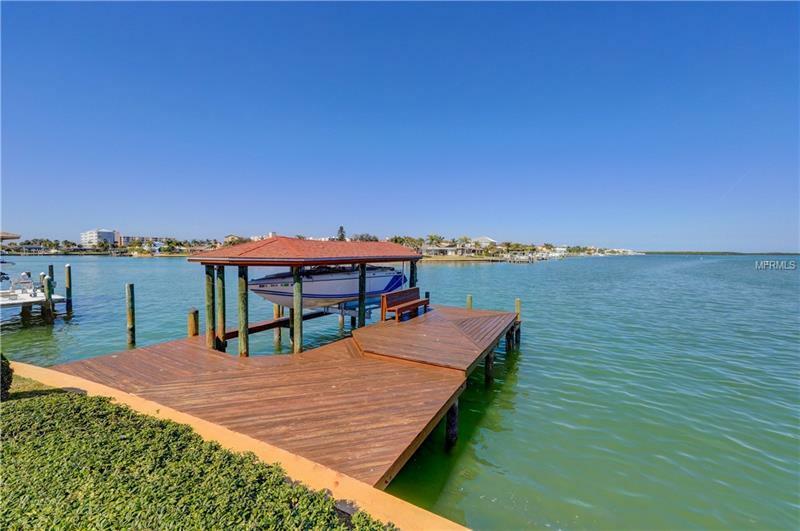 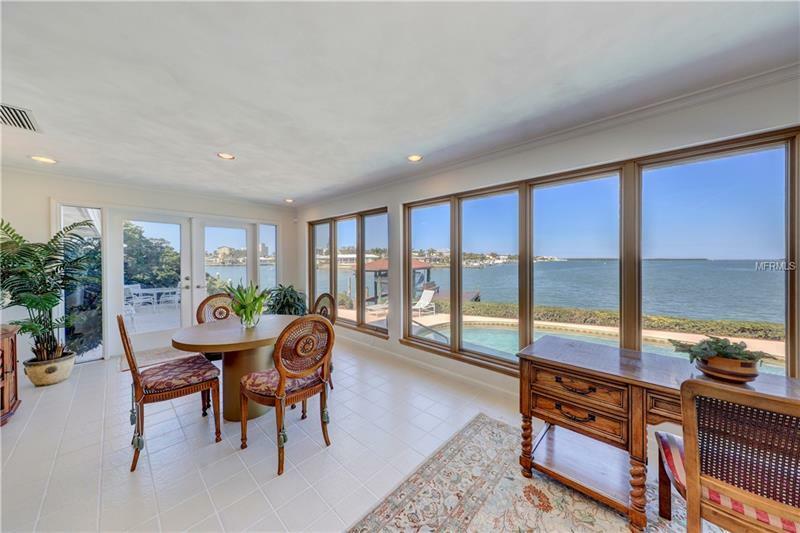 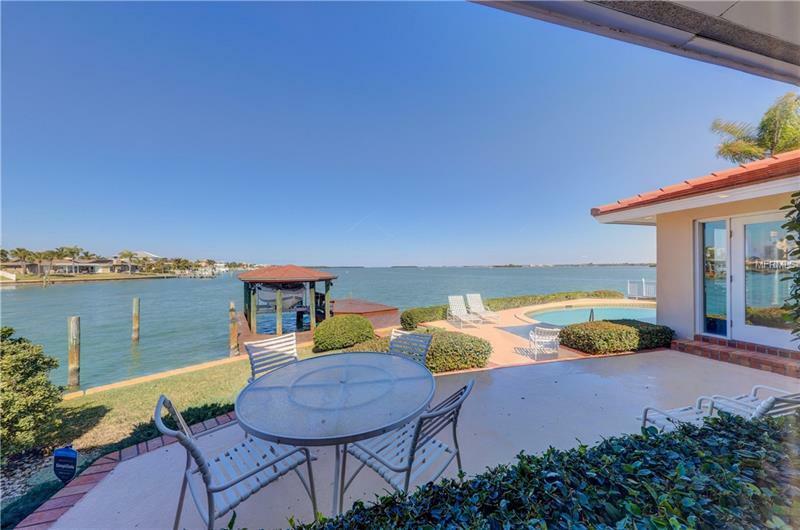 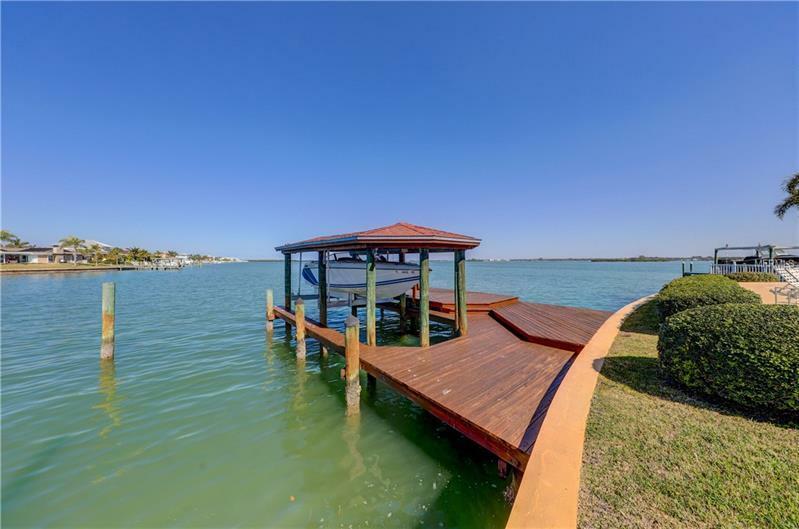 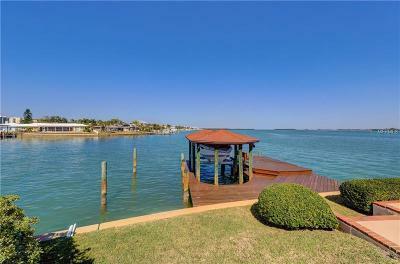 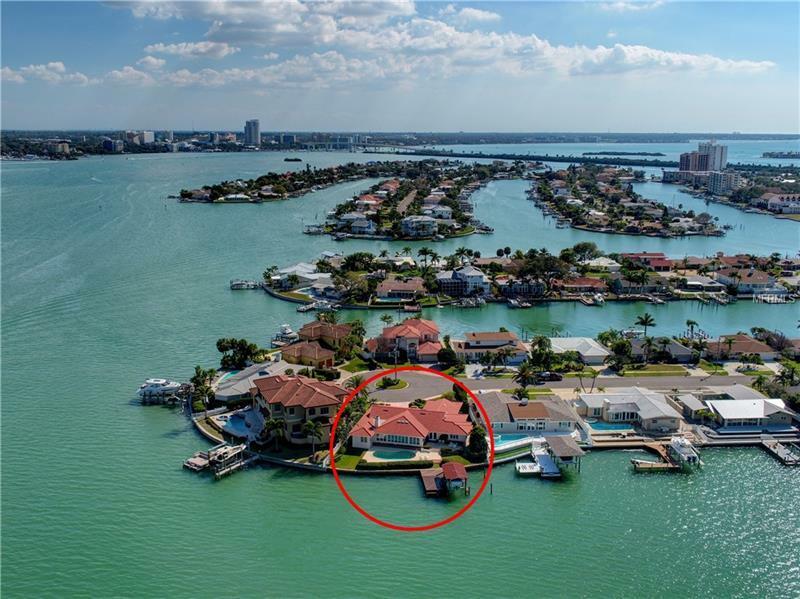 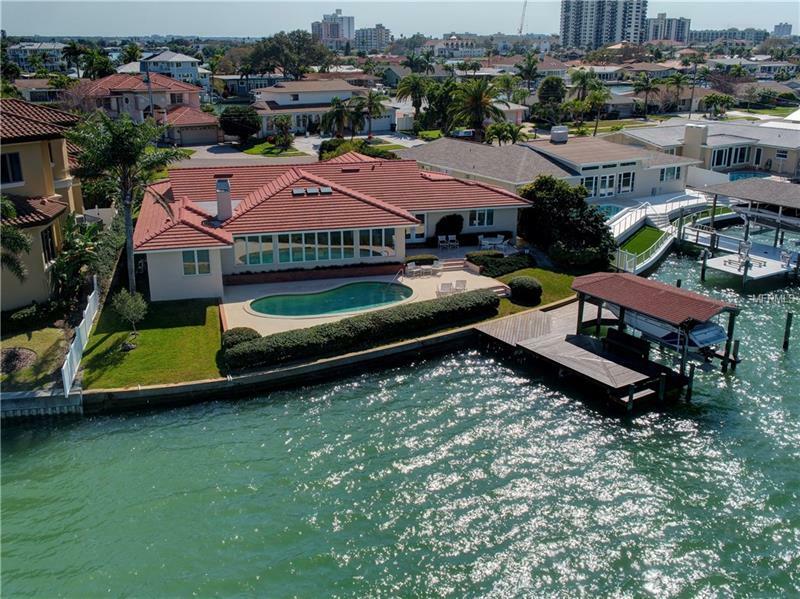 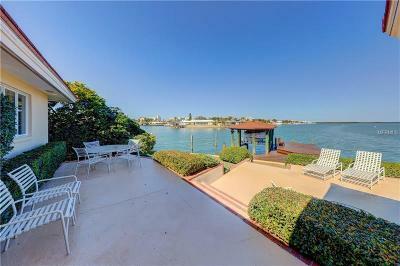 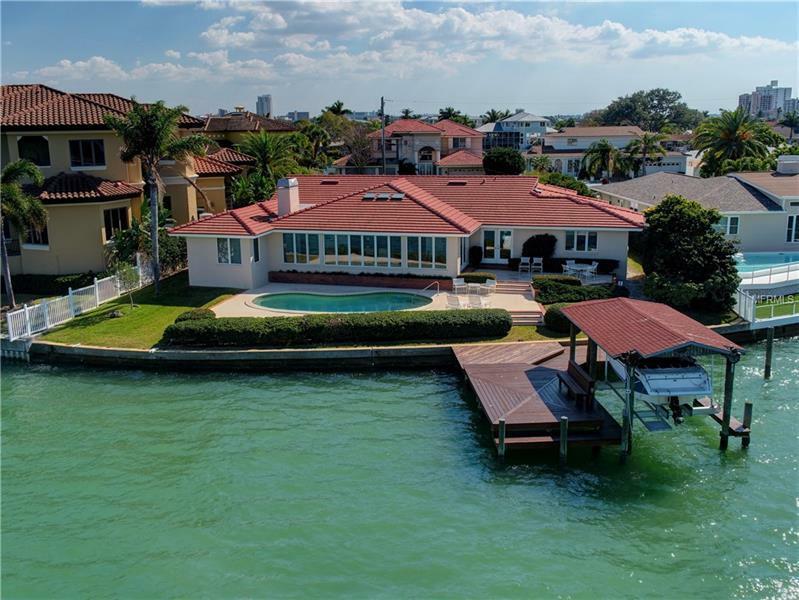 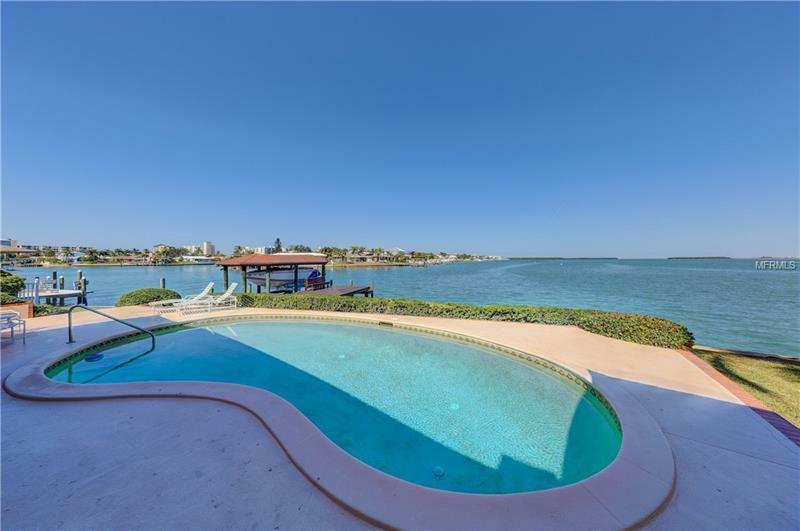 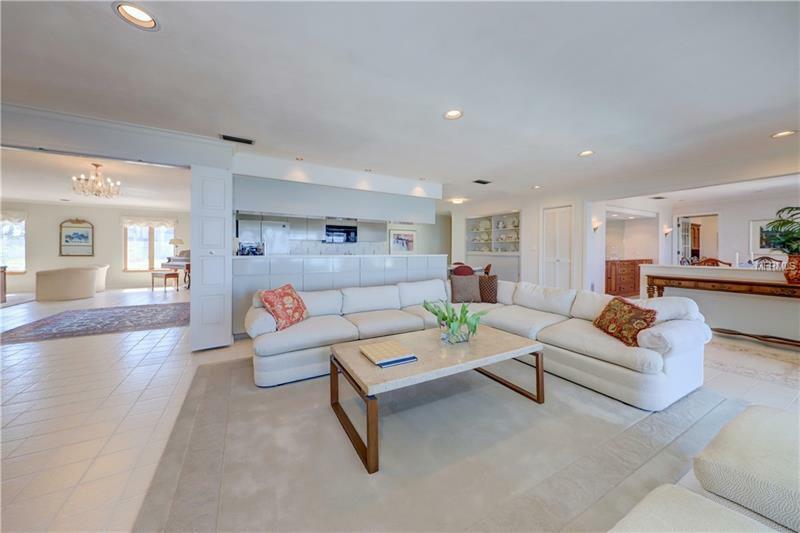 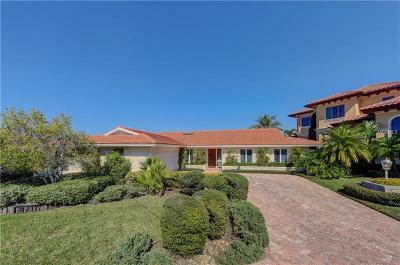 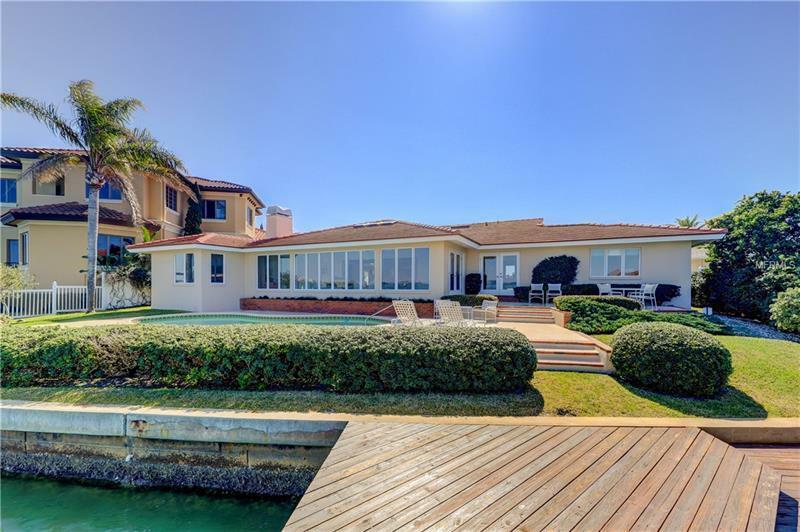 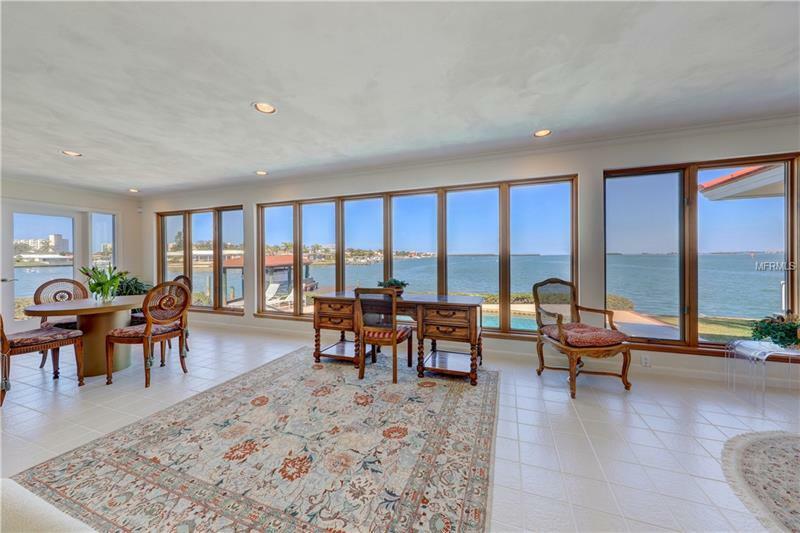 Island Estates--Coveted Wide Open Water Views from this 4BR/4BA Mid Century Executive Home with 2 car garage. 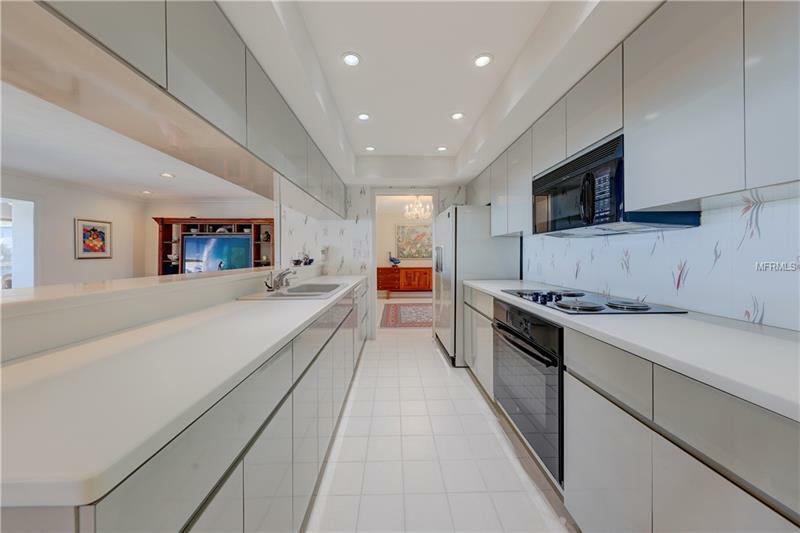 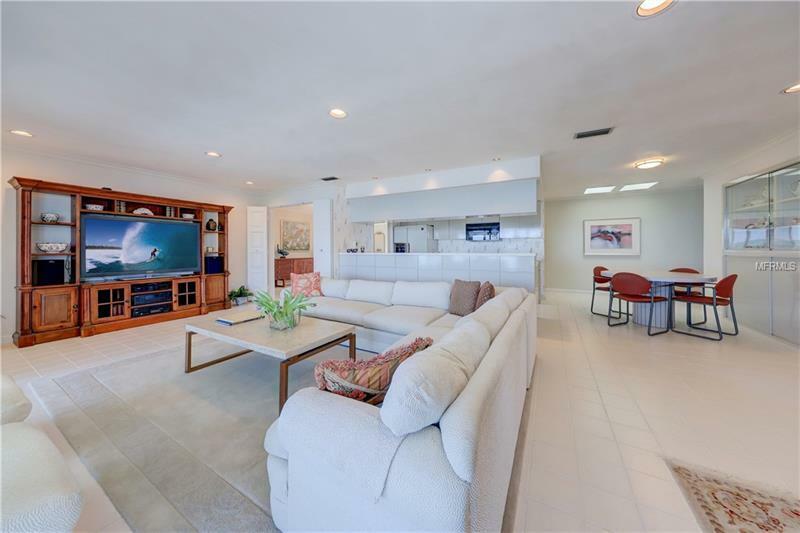 This pool home enjoys an open floor plan with an expansive, fully-equipped Galley-style kitchen that includes a Breakfast bar and Eat-In area. 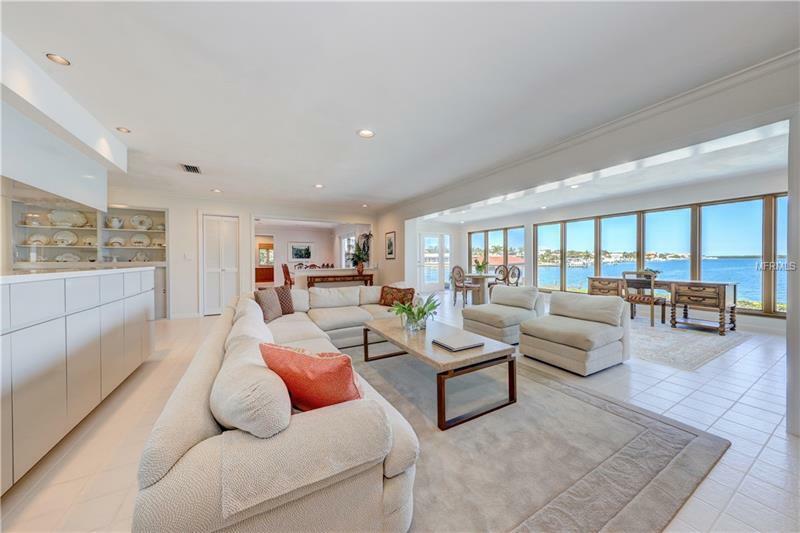 The kitchen is centrally located in the midst of all the many living spaces available-- Formal Living Room with numerous possibilities, Family Room open to the Kitchen, separate Dining Room with custom built-in sideboard and french doors that lead out to elevated terrace that overlooks pool, dock and boathouse. 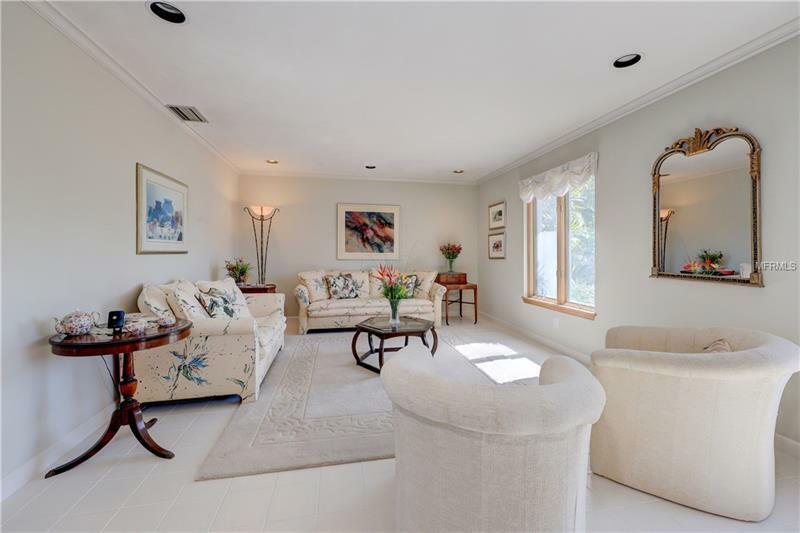 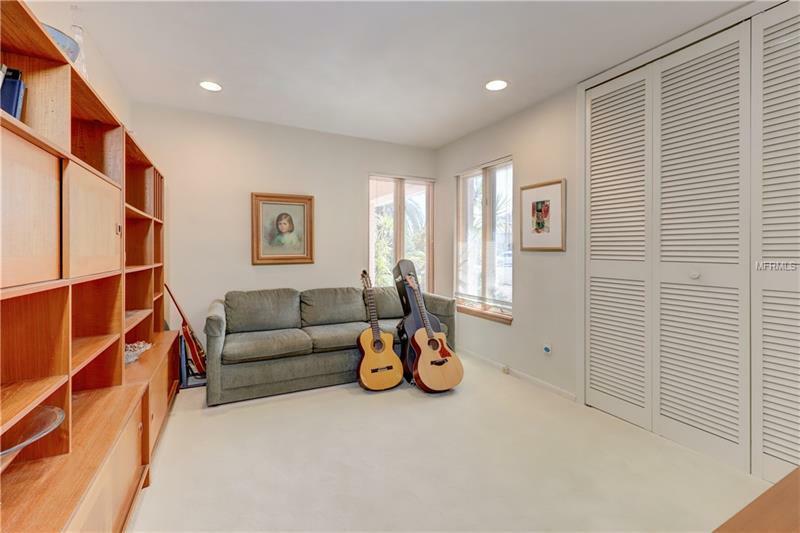 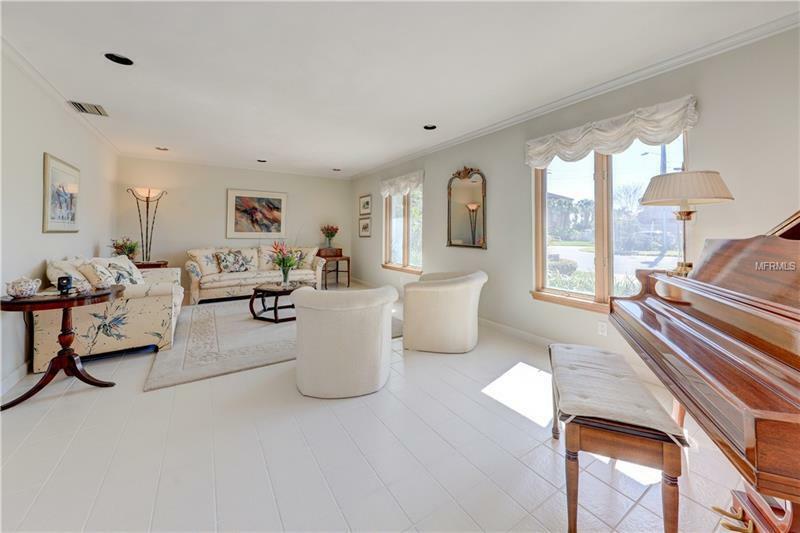 Indoor sitting room with gas fireplace, french doors and a gallery of windows that look beyond the 110' seawall. 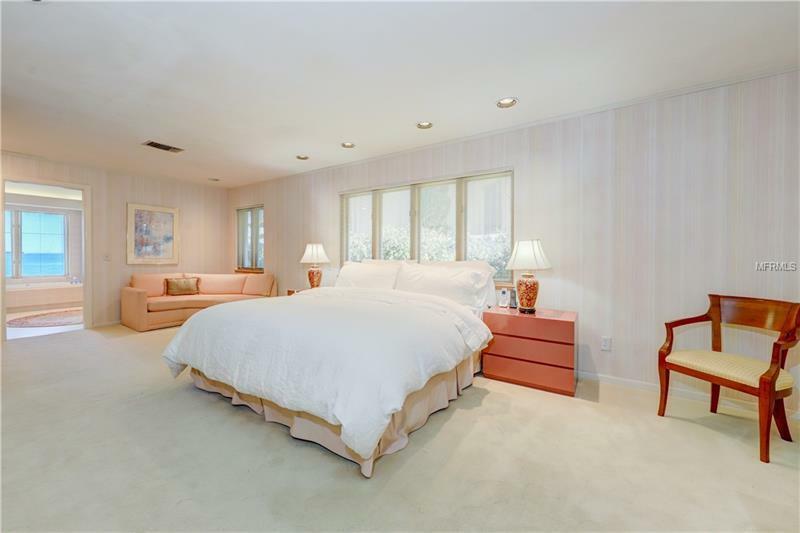 The bedroom lay-out is considered a 3way split and has great in-law suite potential. 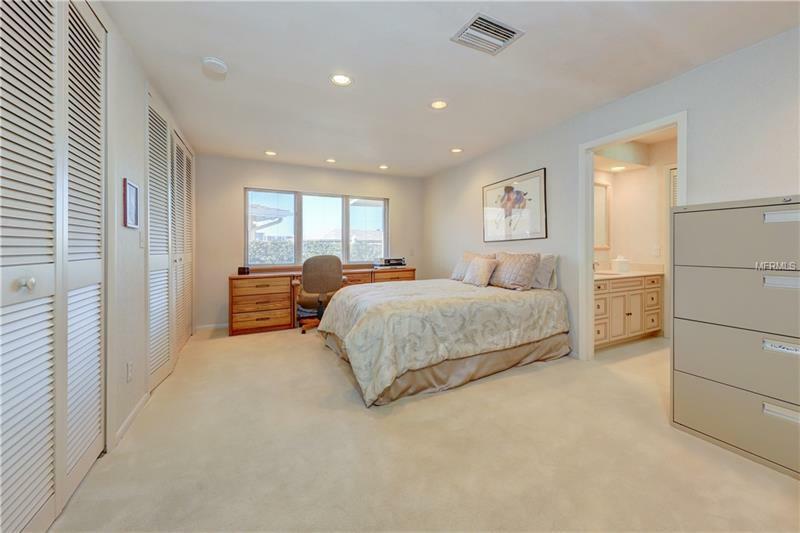 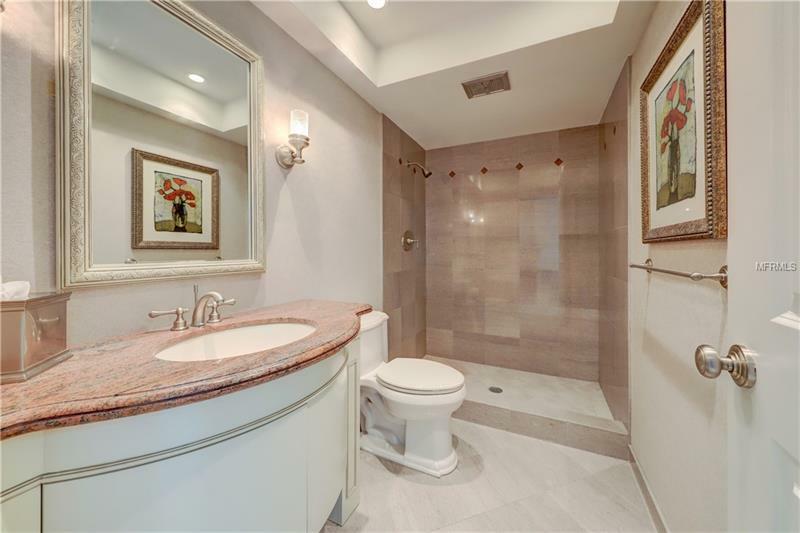 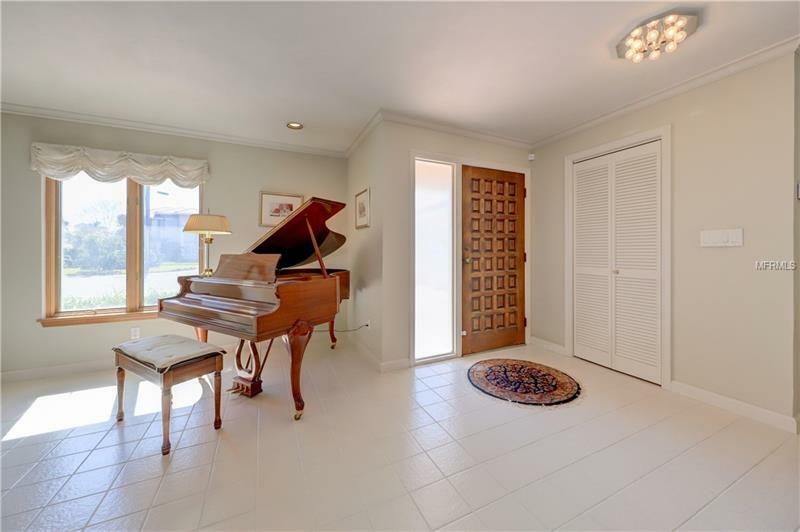 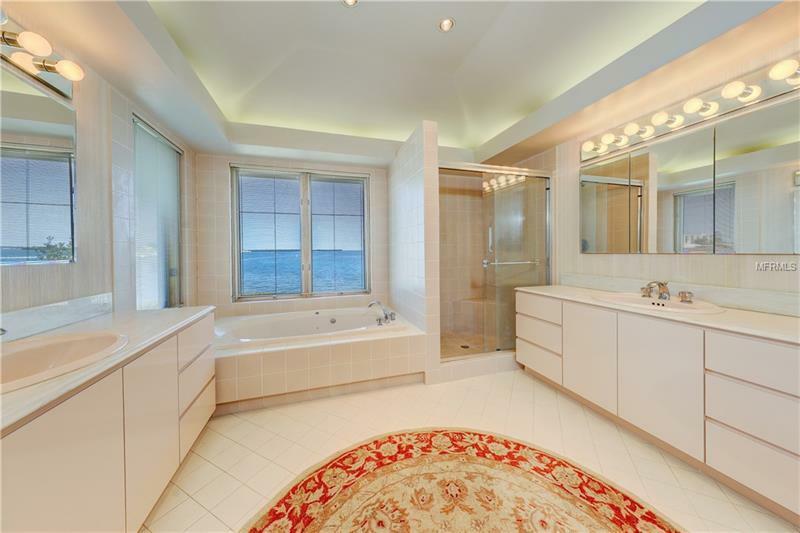 Master suite includes Separate His and Hers closets, space for seating area, large master bath with dual sinks, separate shower and garden tub. 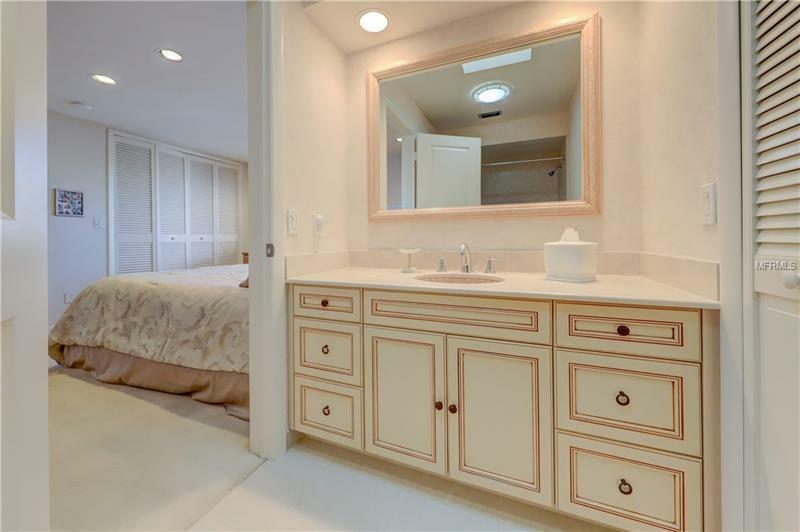 2 BR En-Suites in addition to the master, along with another guest room and a full guest bathroom. 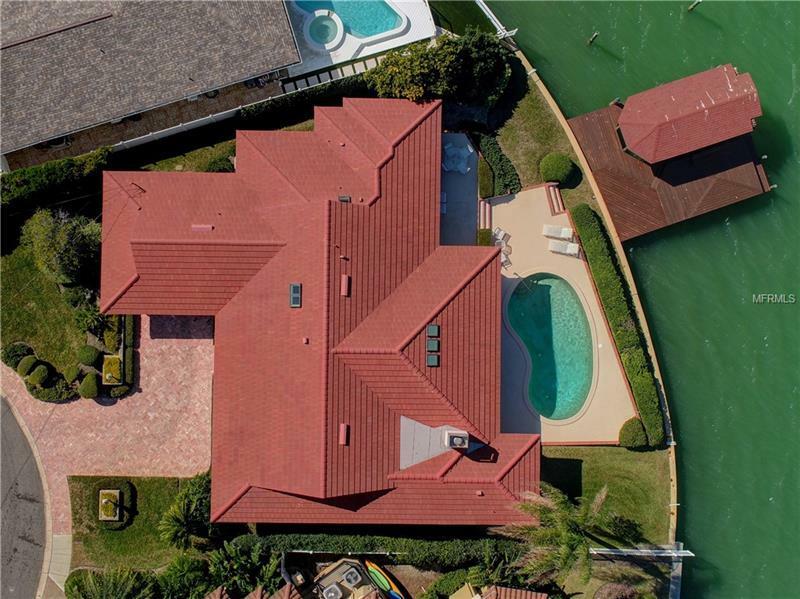 New Roof in 2014, Pool Planned bath entry, No HOA.